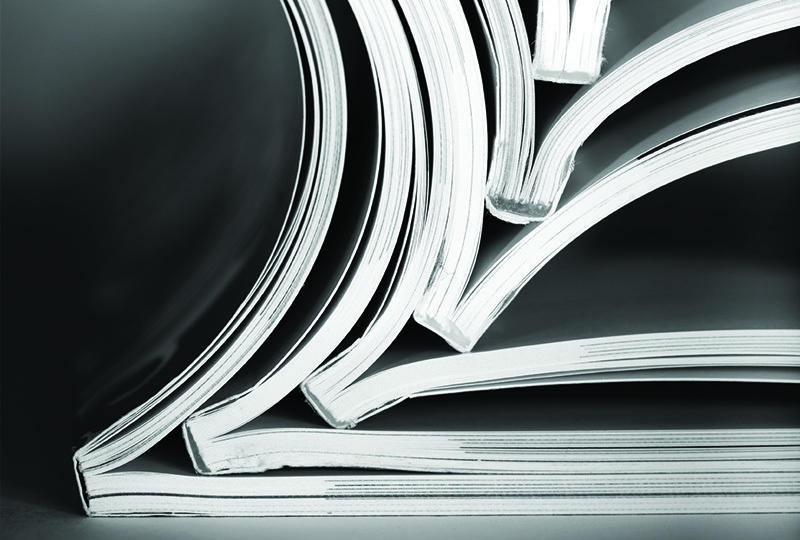 Over the past year, the Journal of Veterinary Dermatology has published over 70 articles. The following abstracted articles are particularly applicable to small animal practitioners as these selected articles advance understanding of diagnostic or treatment options for canine allergic dermatitis and provide rational guidelines for diagnosis and antimicrobial therapy of canine superficial bacterial folliculitis (SBF). In small animal primary care practice, allergen-specific immunoglobulin E (IgE) assays for regional environmental allergens and food allergens are frequently performed. Plant and colleagues demonstrate that positive results on allergen-specific IgE assays may differ by laboratory and test methodology, and there may be poor agreement of positive results and immunotherapy recommendations among laboratories. Hardy and colleagues show that detection of food-specific IgE and immunoglobulin G (IgG) is not exclusive to dogs with cutaneous adverse food reaction (CAFR), and there may be poor agreement of positive results among laboratories. These findings confirm the need for standardization of allergen-specific IgE assays in veterinary medicine, as well as further studies to investigate which test methodology results in allergen-specific immunotherapy recommendations yielding the best clinical response. The findings also substantiate strict food elimination trials, followed by dietary provocation, as the best diagnostic test currently available for CAFR. Cosgrove and colleagues demonstrate that the selective Janus kinase inhibitor, oclacitinib, is an effective and rapidly acting therapy for control of canine pruritus and atopic dermatitis (AD). Future studies are needed to confirm the long-term efficacy and safety of this promising therapy. Hillier and colleagues provide detailed guidelines for the diagnosis and treatment of SBF in dogs, which is a common sequela to underlying conditions, such as allergic dermatitis. Given the rise of staphylococcal methicillin and multidrug resistance in veterinary medicine, these guidelines fill a distinct need for recommendations regarding judicious selection of antimicrobial therapy as well as indications for culture and susceptibility testing when treating bacterial pyoderma in dogs. Plant JD, Neradelik MB, Polissar NL, et al. Vet Dermatol 2014; 25(1):15-16. Intradermal skin testing (IDT) and serum allergy testing (SAT) are 2 tests performed on atopic patients in order to formulate allergen-specific immunotherapy (ASIT). IDT and SAT results do not always correlate, and there are a number of laboratories that offer SAT using different enzyme-linked immunosorbent assay methodologies that can lead to different results. This study compared the agreement of testing results among 4 commercial laboratories offering SAT; it looked at the agreement of positive and negative results of the tests as well as recommendations each laboratory made for allergens that should be included in the patients’ ASIT prescriptions. Serum was collected from 10 dogs diagnosed with AD; serum from each dog was divided into 4 even aliquots, handled identically, and submitted to 4 commercial laboratories for allergen-specific IgE assays: ACTT Bio-medical Services (acttallergy.com), VARL Liquid Gold Veterinary Allergy Reference Laboratory (varlallergy.com), ALLERCEPT HESKA (heska.com), and Greer Aller-g-complete (greerlabs.com). The overall agreement across all dogs and all laboratories was 70%; this was slightly higher than what would have been expected by chance (66%). The percentage was similar when the overall, by-laboratory pair, and by-dog analyses were repeated. The best chance-corrected agreement was found between HESKA and Greer laboratories. The overall ASIT recommendation agreement percentage was 72%, again only slightly higher than would be expected by chance (66%). The agreement of the 4 IgE assays as well as ASIT treatment recommendations was found to be only slightly better than could be expected by chance. Clinically relevant test cut-off values. The choice of IgE assay may make a substantial difference in the positive and negative SAT results as well as treatment recommendations. These findings emphasize the importance of the clinical evaluation of the patient when formulating ASIT. Since this was a small study of only 10 dogs, further studies are needed. Hardy JI, Hendricks A, Loeffler A, et al. Vet Dermatol 2014; 25(5):447-470. The “gold standard” test for diagnosis of CAFR in dogs is an 8-week elimination dietary trial followed by rechallenge. It is suspected that a hypersensitivity or intolerance process is involved, both of which may be detected with a dietary trial. Serologic tests that measure IgE and IgG to food antigens are commercially available, but correlation of the serologic test and a dietary trial as well as reproducibility of intralaboratory results have been poor. Without withdrawal of topical or oral glucocorticoids or cyclosporine, blood samples from each dog were submitted to 2 laboratories to measure IgE and IgG to food allergens. Frequency (IgE, 44%–82%; IgG, 57%–71%) and magnitude of IgE and IgG reactivity were similar across the 5 groups. Level of agreement for various food allergens between the 2 laboratories ranged from “less than chance” (kappa < 0) to “moderate” (kappa = 0.41–0.6) but was generally poor. The magnitude of reactivity cannot be used to distinguish dogs with CAFR from those without CAFR. The presence of food-specific IgG only indicates previous exposure or cross-reaction with environmental allergens. Testing is not currently recommended in human medicine. Current serologic tests should be used with caution in the diagnosis of canine CAFR. Cosgrove SB, Wren JA, Cleaver DM, et al. Vet Dermatol 2013; 24(6):587-597, e141-e142. AD is a common and frustrating disease for both owners and veterinarians. In conjunction with other treatments, control of pruritus with oral immunosuppressive medications is a mainstay of therapy. Both glucocorticoids and cyclosporine are used for the control of pruritus, but each has pros and cons regarding side effect profile and/or cost. Oclacitinib (Apoquel), a Janus kinase (JAK) inhibitor selective for JAK-1 and JAK-3, has recently been approved in the U.S. for control of pruritus associated with allergic dermatitis and control of AD in dogs that are at least 12 months of age. It inhibits pro-inflammatory cytokines, including IL-2, IL-4, IL-6, IL-13, and IL-31. In this study, 299 dogs with chronic AD from 18 clinics received either placebo or oclacitinib (0.4–0.6 mg/kg PO Q 12 H to day 14, then Q 24 H to day 112). Owners scored pruritus according to a visual analog scale (VAS) in which they graded the severity of pruritus by marking, on a 10-cm line, a point that best described the severity of the dogs’ pruritus. Clinicians provided Canine AD Extent and Severity Index (CADESI-02) scores. For those treated with oclacitinib, success rates (defined as a 2-cm reduction in pruritus score) were ≥ 60% based on VAS scores and ≥ 50% based on CADESI-02 scores. A 29.5% reduction in VAS scores was noted within 24 hours. A 48.4% reduction in CADESI-02 scores was noted after 14 days. The most commonly reported side effect was mild and transient anorexia in only 2.6% of patients. The equal frequency of the development of malignant neoplasia between the placebo and oclacitinib groups (2 of 283 dogs) suggests that the neoplasms were less likely to be caused by oclacitinib, although there is a label warning regarding potential exacerbation of neoplastic conditions. Oclacitinib’s rapid and durable efficacy for pruritus, as well as mild side effect profile make it an attractive alternative for pruritic dogs with AD. Future studies on long-term use and concurrent medications are of interest. Hillier A, Lloyd DH, Weese JS, et al. Vet Dermatol 2014; 25(3):163-175, e42-e43. Canine SBF is typically caused by Staphylococcus pseudintermedius. The Antimicrobial Guidelines Working Group of the International Society for Companion Animal Infectious Diseases met to develop guidelines to address concerns about widespread antimicrobial resistance in companion animal practice. The guidelines presented here are specific to SBF and apply to dogs only. This is an excellent review for all veterinarians, particularly those in small animal primary care practice. Demonstrating bacterial cocci via microscopy is a powerful confirmatory diagnostic tool, particularly in cases of SBF unresponsive to antimicrobial drug (AMD) therapy and when, despite lack of typical lesions, SBF is suspected. Bacterial culture is never contraindicated. Since AMD use is a risk factor for infections with methicillin-resistant (MR) staphylococcal strains, culture should always be performed on dogs with recurrent infections or repeat exposure to AMDs. Addressing the underlying cause of recurrent SBF is of utmost importance. Topical therapy is helpful in all patients with SBF and is encouraged as a first-line treatment. Chlorhexidine is consistently shown as an effective topical antimicrobial agent. When systemic AMDs are used, practitioners are encouraged to follow the tier system in which clindamycin, first generation cephalosporins, and trimethoprim- and ormetoprim-potentiated sulphonamides are considered first choice agents. Treatment should be continued for 7 days beyond clinical resolution; this is typically between 3 and 6 weeks of treatment for most patients. By following these guidelines, SBF can often be successfully treated. Appropriate antimicrobial use can reduce selection of MR staphylococcal strains and other multidrug resistant bacteria. Investigation and treatment of the underlying cause of SBF is of paramount importance.